Well, this is interesting, in a number of ways. But there’s more interest to be had here than just comparing different vocal takes, because besides the Northern Soul anthem A-side Do I Love You (Indeed I Do), this is the only other time we’ll meet Frank Wilson the recording artist, as opposed to Frank Wilson the hotshot writer-producer. 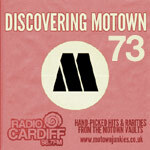 We’re told the planned release of Do I Love You was canned because Motown felt Frank Wilson was more valuable to the company as a writer/producer than an artist. Supposedly, Wilson was asked to make a snap decision on which path to follow, committing himself to a creative lifetime spent on the other side of the glass, and never looked back. Was it the right decision, though? Wilson’s best Motown work lay ahead of him, and very fine it is too, so it’s easy to say we should be thankful he made the choice he did. Still, the nagging question remains – and we didn’t really touch on it during my 8,000-word brain-dump when discussing the A-side, mainly due to a lack of evidence – what if he’d chosen differently? What if Do I Love You had been released, and then become a hit? How would Motown history have played out in that alternate universe? And I think Sweeter As The Days Go By gives us our answer. Most of the criticism levelled at Do I Love You hinges on two things: one, Frank’s vocals, and two, a lack of structure. With that in mind, hearing him sing a much more soundly-constructed song – and Sweeter As The Days Go By is obviously one – should clarify what an “average” Frank Wilson Motown cut ought to sound like; this is him singing an actual song, rather than a pile of hooks being thrown on top of each other at a hundred miles per hour. In terms of the song being contained right there in the sheet music – meaning, your average would-be artist being able to sing this on a street corner, sing it in a gospel choir or school assembly, sing it into a hairbrush in front of the mirror, transpose the arrangement for saxophone and busk it outside a shopping mall, whatever, with the minimum of adaptive work needed – well, this is streets ahead of Do I Love You. But the actual song is only part of the overall recipe for a great record, and so while it’s arguable this is a better song – certainly in those terms I just mentioned – well, once Wilson has transferred it to vinyl, I don’t think it’s anywhere near as arresting or as special as his once-in-a-lifetime masterpiece. In short, this is a fine song and a good little record, but it’s also making a pretty convincing argument that Frank Wilson was never going to be any kind of a recording star, no matter which way he turned when his career hit a crossroads. Wilson’s one and only Motown 45, cancelled almost before it was greenlit in deeply confusing circumstances that have since passed into legend, is one of the rarest and most expensive records in the world – which means, technically, Sweeter As The Days Go By is similarly rare and expensive. But I’d bet almost none of the people who’ve shelled out hundreds and then thousands of pounds to own one of the two known extant copies of Soul 35019 did it for the B-side. While Motown’s UK office kept both sides of the US promo together when they reissued this single on the revived Tamla Motown imprint in 1979 (we don’t know whether they simply had no choice, having no access to any other Frank Wilson cuts or even the master tapes, or if they were deliberately avoiding the temptation to pair Do I Love You with a different song, thereby turning Sweeter As The Days Go By into a priceless rarity beyond rarities until someone finally anthologised it), the pairing really highlights the biggest obstacle to the successful recording career of Frank Wilson, which turns out to be Frank Wilson himself. So, where Do I Love You (Indeed I Do) is all pumping energy and shouting and dancing and exhilaration, this is a far more considered comedown, a chill-out session after the exuberance of the A-side. But Wilson, while he’s not awful, is no great shakes as a singer, bringing little personality or verve to his delivery, his deficiencies much more noticeable on a slower, more considered number like this, despite the material actually (on paper) being stronger – and it suddenly becomes very apparent that Do I Love You, despite being (again, on paper) a weaker song, was actually a much better choice of material for Wilson’s voice. There’s a reason that one side of this 45 has become legendary, widely anthologised and rightly held up as a lost Motown classic, while the other side – this one – has largely been forgotten, and it’s too simple to say it’s just the guy behind the mic (even though, essentially, that is what it is). Rather, it’s that the way Do I Love You actually got stronger with a guy who can’t really sing the song, but who can gabble and shout breathlessly – firstly, because it’s a nearly impossible song to sing anyway, as anyone who’s ever been tempted to try and sing along on a dancefloor (or, heaven forbid, karaoke) can testify, and secondly, because that lack of control actually benefitted the material – the feeling of exuberant, boundless joy that Wilson’s narrator was trying to convey is somehow strengthened by him tripping over the ends of lines, not quite able to get all his words out and hit all the right marks or all the right notes, struggling for breath because that’s what it’s like to feel this way, and not because he’s a midding singer. Plus, that giddiness was matched by the obvious if short-lived excitement Wilson himself might have felt in real life when actually recording the song; if the narrator of Do I Love You is secretly worried they’ll never be so happy again, Frank Wilson must surely have thought, for that one a terrifying, exhilarating moment, that this could have really been his big break as an artist. And now, here’s Sweeter As The Days Go By, a song again co-written by Frank Wilson the excellent writer, and here Frank Wilson the decidely average singer really very definitely is the weak link. It’s a lovely little song, this, extremely catchy, paced exactly right for humming or whistling along (don’t try this with Do I Love You, you might end up fainting! ), sweetly conceived as another love song in the most obvious sense: a song of disbelieving satisfaction, of true love and devotion, a continuation – in a more sedentary, considered mode, of course – of the sentiments of the A-side. There’s room aplenty for a singer to impose their personality on it, with long vocal stretches left sparse for the artist’s own imagination (You’ve… given me SO MUCH… that I’m grateful of… such a FAITHFUL LOVE) juxtaposed with rigid repetition, Oh, you, you, YOU…; I’m so, so, LUC-ky”, the sort of things that could stick in your mind for days on end after just a couple of listens. It’s crying out for someone to take it by the scruff of the neck and make it theirs, make it magnificent; strange to say, but if it had been written 25 years later, I feel Boyz II Men (who I think I may have just mentioned for the first time in the entire course of this blog so far?) would have absolutely smashed it out of the park. Here in the mid-Sixties, it boggles the mind that this found its way into the hands of the Four Tops, but not the Temptations – I’d love to hear a Temptations take on this, it is almost perfect for them, but sadly no such recording exists (or has been unearthed yet), and so here on Motown Junkies we have to make do for now with Frank Wilson. Oh, Frank. He’d done so well to nimbly vault the difficult, tongue-twisting, lung-busting sharp corners of the A-side, the song’s barrelling pace effectively papering over and even making a virtue of the obvious deficiencies in his vocal range, but here, he can’t rely on shouting his way through the barriers and carrying us along through sheer delighted exuberance. It’s a passable but unmistakeably disappointing performance, most notable for his attempts to hit all the high notes without being able to do the required falsetto, or the long notes without the lung power, instead compensating in both instances with some throaty raw soul noise creeping in at the edges. But this isn’t that kind of song, and so the overall effect is a little strange. He gamely gives it his best shot, and we like him, but he’s neither David Ruffin nor Marvin Gaye, and so his stretches feel like lunges, and the wheezy-sounding pauses he leaves throughout could just as easily be accidental rather than deliberate. Now, to find he can’t quite stick the big moments of the song shouldn’t be a surprise, as he hadn’t really made them on Do I Love You either, but that song carried him along like a cowboy clinging on for dear life, whereas this one doesn’t really benefit from his ragged approach; in short, there’s no glory in the failure here, no sense that it’s simply raw emotion getting the better of him (either for real, or acted for the purposes of the song). He really reminds me of the mid-Sixties performances of Marv Johnson (another Motown vocalist who struggled to carry a tune outside his comfort zone, not to mention a seriously underrated writer), or the early days of Jimmy Ruffin, only not quite as good in either case; he’s not bad by any means, but I’m not sure I’d put him in or even near the top ten Motown male solo voices we’ve heard so far. Which brings us back to the initial question: what if Frank Wilson had decided to be a singer after all? On this evidence – and for many years, this was all the evidence we had, before more of Wilson’s vocal cuts began to trickle out on compilations – he’s just not got that X factor, that certain something to mark him out from the crowd (not just at Motown, remember, but across the whole of the radio – this isn’t an easy game, and as we’ve seen time and again already on this blog, you don’t get hits automatically just by being signed to Motown). The whole thing feels curiously rough and provisional, like an early draft, a demo which ended up being passed for release (or not, but you know what I mean) because there weren’t any better recordings available to stick on the flip of those eventually world-famous promos; there are a few more Frank Wilson tracks now out in the wild, and they’re all good songs, but they all suffer from the same basic problem, in that the singer isn’t technically strong enough to excel, nor is he quirky enough to charm – he’s just deeply average, even when he’s got good material in front of him, even when he’s the one writing said material. At the end of the day, I suspect if Frank Wilson had scored a hit single here and then maintained a recording career, assuming he didn’t simultaneously lay down his pen forever, he’d have ended up another R. Dean Taylor at best, and I don’t really mean that as a compliment. Not an insult, either, but as far as the writer/producer dilemma goes, Frank is hardly Eddie Holland or even Lamont Dozier, and it’s clear his true strengths lay away from the mic; all he’s doing here is turning in an excellent song and then weighting it down with a performance that adds nothing. And deep down, I reckon he knew it, hence his making the right decision when the time came. Is it a good record, all the same? Yes, absolutely it is – the song is solid, the hooks are catchy, the production is appealing, the lead vocal (after all my carping) is okay, the whole package is nice indeed. Would I swap Frank Wilson’s superb upcoming writing and production work behind the scenes for the chance to hear ten or twelve more of these? Not on your life. And apparently, neither would he. The first version I heard of “Sweeter As the Days Go By” was by Chris Clark in 1967, and to me the song works better when sung by a woman. This is reinforced by the fact that this song bears a close resemblance to the Gordon & Wilson composition “I’m So Thankful”, which charted by the Ikettes in 1965. Nevertheless the strength of the song and the heavy beat of the arrangement compensate for Frank Wilson’s vocal inadequacies enough for me to rate this an 8. Curious to note that this and the ‘A’ side both ended up being recorded by Chris Clark. Just an observation but, perhaps the reason the single was withheld was that Gordy wanted the songs for his then ‘girl-friend’ with the tracks being used as a guide vocal. Great essay as usual and I agree with your rating of a 7 for this song with perhaps a 9 for the A side. Any chances of tying up 1965 by the end of 2014?? And yet Gordy released neither of Chris’ recordings of these 2 songs. Totally agree with the other comments. This is a far higher quality song than the top side, but the recording is let down somewhat by Frank’s very average vocal ability. It’s a wonder he ever considered himself at any stage as a vocalist because he really wasn’t up to it. That lack of vocal ability is more evident on this song than the top side. This song has more melody and that highlights his vocal limitations. Nevertheless, this is still a wonderful finished product as the production/arrangement is simply magnificent. Davis and Gordon were certainly at their peak when these to sides were recorded. I love the backing vocals that rise towards the end of each verse and the wonderful instrumental middle break. Of course, Chris Clark’s version is better, simply because she’s a better singer, not just because she’s a woman. I liked Marvin Gaye’s vocal on his version, but unfortunately that version had a rather lack luster arrangement so pales against this version. Would love to have heard Brenda Holloway’s vocal on this track. I’d give Chris Clark’s version 9.9 out of 10, but Frank’s version only 8 because of the disappointing vocal. I think Davis/Gordon’s peak was “You Turned My Bitter Into Sweet”, and bemoan never hearing a Motown-recorded version of that song, with instrumental being played by The Funk Brothers. How could Motown have let THAT opportunity slip through the cracks??? As much as I love Mary Love’s version, wouldn’t it have been great to hear a late 1964 or early 1965 version of that song recorded by The Funk Brothers, and sung by Kim Weston or Brenda Holloway (or Patrice, or Carolyn Crawford)? A side note: I bought the British Tamla-Motown issue of Frank Wilson’s “Do I Love You”/”Sweeter As The Days Go By” for “Sweeter”, rather than the “A” side, as I like it better, and the Chris Clark wasn’t released. We agree on the score for this. I’d give it a 7, strictly for this song’s writing and instrumental high quality. It is very similar to “I’m So Thankful”. I agree that Chris Clark’s version is much better. Again, this shows how much Marc Gordon’s co-writing helped Frank Wilson’s songs, adding the necessary structure and quality instrumentation. Yes Frank was a very ordinary singer (and certainly sub-par for Motown’s high level). Wow, Robb, I just listened to “I’m So Thankful” & it is very similar. I think Marvin Gaye’s version of “Sweeter” is good but I’m not completely knocked out by the song, no matter who is singing it. Still, it is a very pleasant song. I personally think Mr. Wilson’s work with the 70s Supremes (their 1st 3 albums) is wonderful! I do hope you are well my friend! I’ve never heard Frank’s version, but Marvin’s is superb! So easy and laid back it sounds like something Marvin could lay flat on his back and sing. Vocally it reminds me of “Try It Baby”. i’m in the Marvin Gaye version camp. I especially like the Andantes (I think) backing him up. Levi’s is strong but it’s a “sweet” song meant to be sung softly. I think I heard Franks version on WPFW in DC one morning. I haven’t heard Chris’ at all but I hope to find it on one of your archived tracks. “You’re a candymakers dream come true, and Darling sugar has nothing on you”! Love that line! !